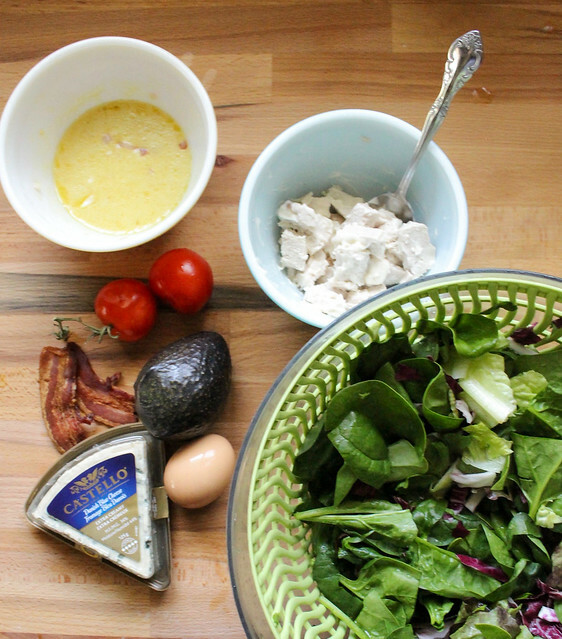 When I decided to make a Cobb salad from my Foodie Bucket List I naively thought it was going to be a simple challenge. How hard could it be? But just like this scene from my favourite foodie movie Julie & Julia, everyone seems to enjoy this classic salad differently. 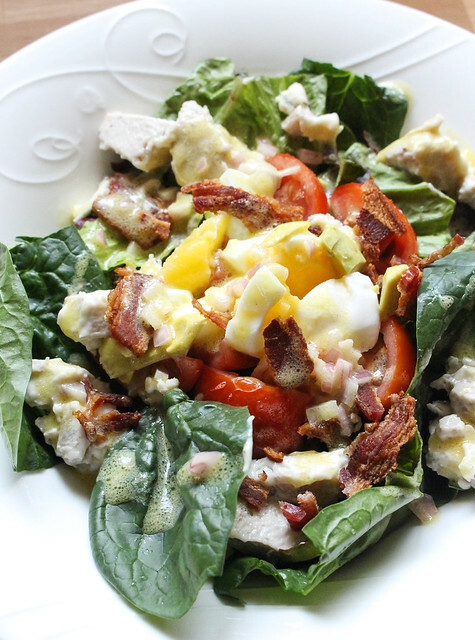 I found this “Classic Cobb Salad” recipe from The Food Network and thought I was safe. Although the avocados were a little under-ripe and the hard boiled egg refused to come out of its shell which is why I learned how to make them in the Instant Pot. 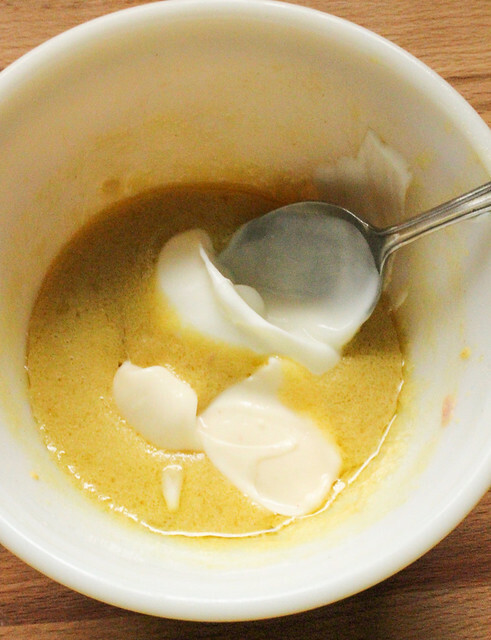 I was surprised to see that according to the recipe the dressing was a vinaigrette and not creamy. It was all wrong! 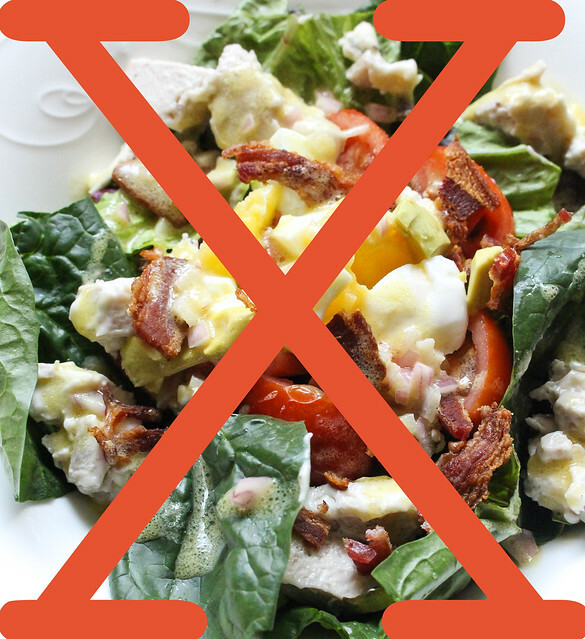 The classic Cobb salad may have a vinaigrette but that was not the right dressing for me. I asked my foodie friends on Facebook and sure enough, everyone seems to have it differently and restaurants serve the salad with their own interpretation. I added some mayonnaise to the salad dressing and tried again a couple of days later after my avocado had some time to ripen. 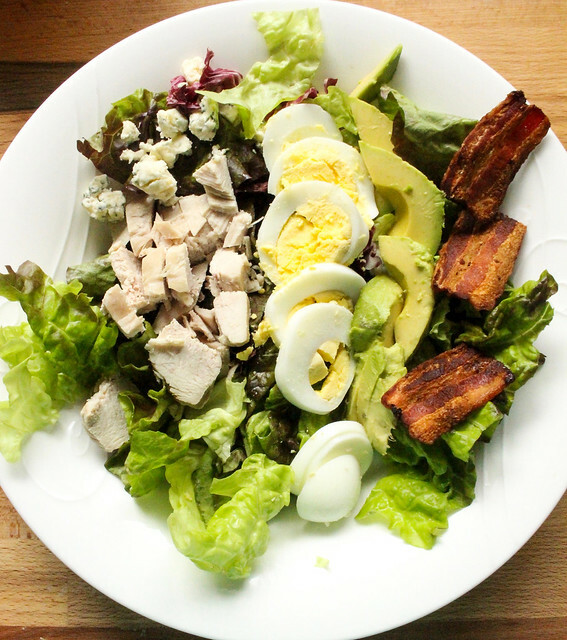 I also decided to serve it in divided segments with the different Cobb salad foodie categories which is the classic way of serving it. 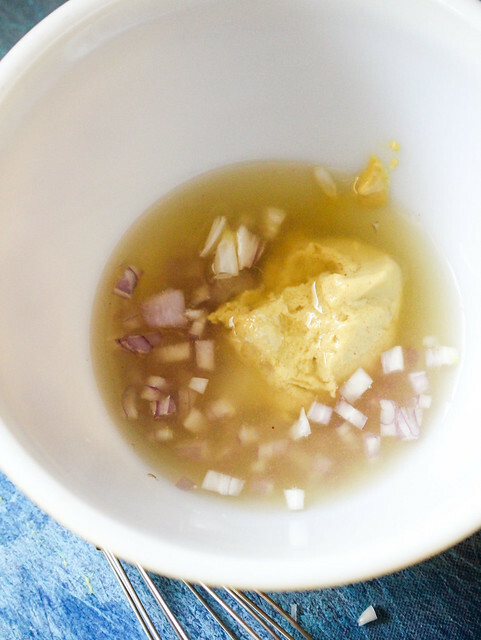 There are many origin theories for this recipe and it may have originally been served with a red wine vinaigrette but I say make it your own like they do in Julie & Julia. 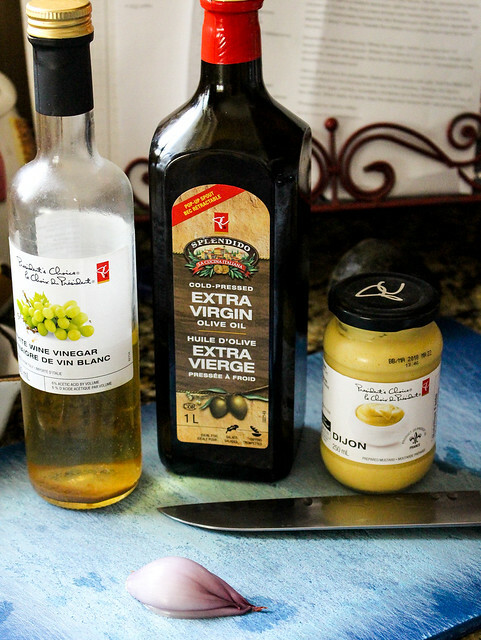 For me, it is a creamy dressing that brings all these fabulously decadent pieces together to make a special salad, perfect for the summer. 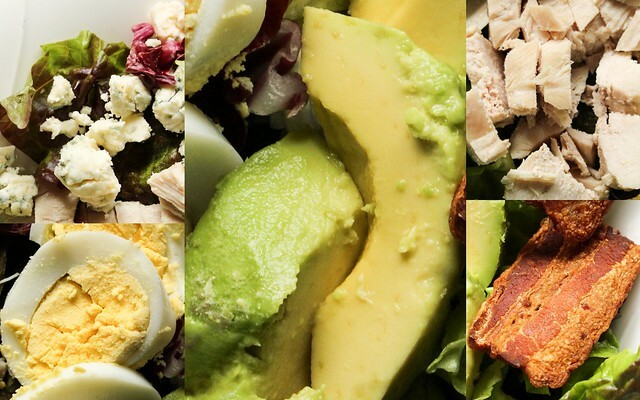 What does a Cobb salad mean to you? I was interested to see How you handled the blue cheese . I love it but Judy hates it so I have compromised by using Feta , in it’s Various forms , as a reasonable substitute . I know it’s not really a Cobb Salad then but WTH , I’m the cook LOL . 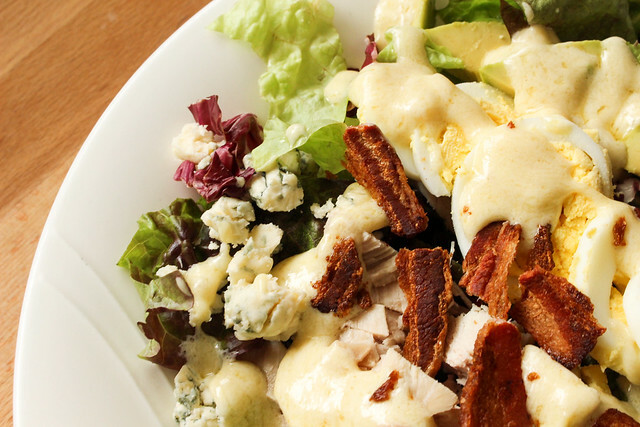 The salad itself is a healthy food option and skip the bacon and sub some grilled chicken you may be able to feed it to Reg ! Another great post with fantastic photos . Good work Suzie !!!! It is a love or hate relationship with blue cheese, isn’t it Wayne? I personally love it but Reg can’t stand it. Yes, best of both worlds with the creamy vinaigrette, LOL. If I made it for Reg the way he would like it, sadly it would not resemble a cob salad in any way! Thanks Wayne! It was great to get another item off my foodie bucket list and much more challenging than I thought it would be. We are both allergic to avocado, so that was out; we didn’t have watercress so I didn’t use it. The recipe for the dressing is FABULOUS – mind you there is Blue cheese in the dressing too, but it makes it very creamy. I’ve since made the Cobb 2 more times, substituting ham for the bacon and adding goat cheese with the Blue (I use the same brand of Blue as you! )… Maybe you can have it with Blue and Reg can have it with goat? it’s a fabulous meal with a glass of red wine! For me, the Cobb definitely represents summertime. I’m doing a garden for the first time and it was thrilling to use my own homegrown lettuce, parsley and chives for the salad! Great photo and I envy those cookbooks! I only have the pasta one that I got at Value Village and LOVE it! Interesting that they put garlic in theirs and it is a red wine vinaigrette. Yes, I have heard of people substituting ham for the bacon which is smart too. It’s so true, such a summery salad that really feeds you so you can have it for dinner. Congrats on growing your own veggies, that is super exciting!